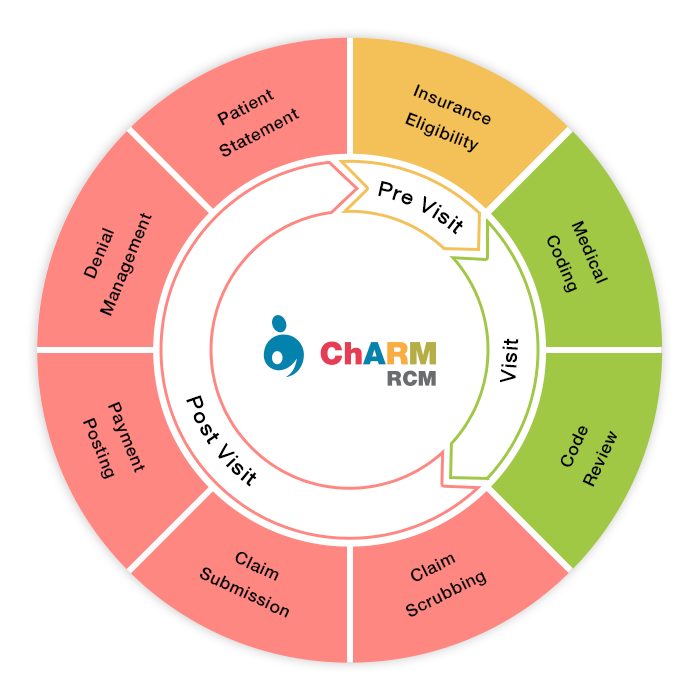 ChARM EHR Revenue Cycle Management (RCM) services is a blend of advanced technology and certified professionals, that helps your practice by increasing cash flows and reducing costs. With the goal to provide maximized revenue and profits, we work through all the phases of the revenue cycle management from insurance eligibility checks to payment posting to denial management. With ChARM Revenue Cycle Management service, every customer will be assigned with a designated account manager with a team of certified coders and billers familiar with the practice's needs. Our stringent RCM processes had resulted in increased cash flows and reduced denials for many practices. With the help of Revenue Cycle Management (RCM) dashboard, you will be able to view your practice's claim status, collections, receivables and denials with average turnaround times. 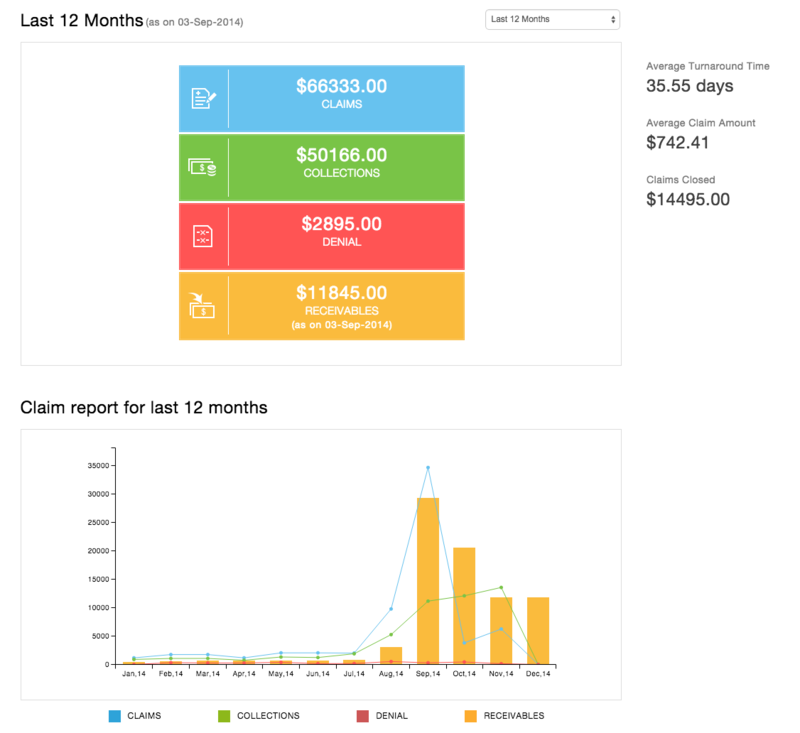 Drill down reports help you track finer details of claims to know about the practice's health. Interested in ChARM Revenue Cycle Management (RCM) Services? We will beat your current rates, guaranteed!